Yesterday at E3, EA announced that Hardline, the latest installment of the Battlefield franchise, would be in open beta immediately. So there's already plenty of cops, robbers, and helicopters to see. So after getting past the instant outage of PSN when EA announced the Battlefield: Hardline beta, I was finally able to download and give it a try. After a few rounds I found that it runs surprisingly well, considering Battlefield 4's launch. I was able to join matches with no issues whatsoever. I tried both Heist and Blood Money. Heist plays like capture the flag with two flags, and Blood Money plays like capture the flag with a bunch of tiny flags, which are all money bags that are constantly leaking bills to a comedic extent, by the way. Both modes were plenty fun, but they were also really confusing due to how hectic they were. This is to be expected when playing against strangers on a public server, but it was a quick reminder that the super cool and coordinated heist we saw at E3 isn't always going to be the norm. The one aspect of the game that could use improvement is the navigation. The maps offer a large bank of drivable vehicles in a city with very little in the way of recognizable features, and while there is a mini-map, I found that it didn't help much in showing me how to get where I needed to go. Overall it feels like Battlefield in a number of ways, hectic to the point of confusion with random players, but a lot of potential for really satisfying teamwork when playing with friends. As long as EA can manage a launch that's smoother than the last Battlefield, I can see myself picking this up. Hopefully there will be plenty to differentiate this from just a Battlefield mod, but I'm definitely looking forward to at least getting some more Super Car Fun in. 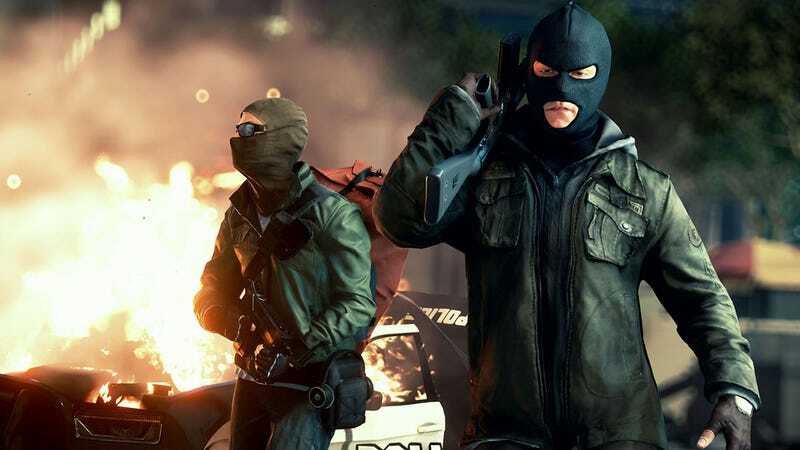 To sign up for the Battlefield Hardline Beta, you'll need to log in with an Origin account here, or Battlefield 4 owners can use the Battlefield 4 tab on their console. The latest news and updates for all things Battlefield, the EA and DICE video game franchise.